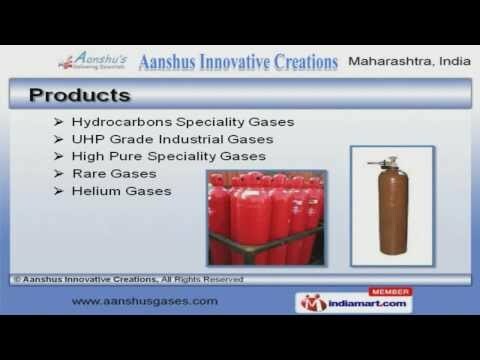 Welcome to Aanshus Innovative Creations, Supplier and Distributor of Chemical Gases, Balloons and Regulators. The company was incorporated in 2010 at Pune. Our products are applicable in Chemical, Petroleum and Pharmaceuticals industries. Sandvik Asia Limited & Department of Atomic Energy are some of our Key Customers and we are backed by Elegant designs & quality. We offer a splendid range of High Pure Speciality, Rare and Helium Gases. Our Diborane, Silane and Arsine are best in the industry amongst others. We offer Phosphine, Laser Gas Mixtures and Deuterated Ammonia that are available at industry leading prices. Electronic, Medical and Refrigerant Gases offered by us are some of our best selling products. Along with that we offer Gas Equipments and Sky Lanterns that are extremely reliable. We also provide Air Balloons and Argon for Medical Industries that are one of the best in the market.